Since the Holiday season still lurks among us, I want to feature a community enterprise that captures the spirit of this season of giving. 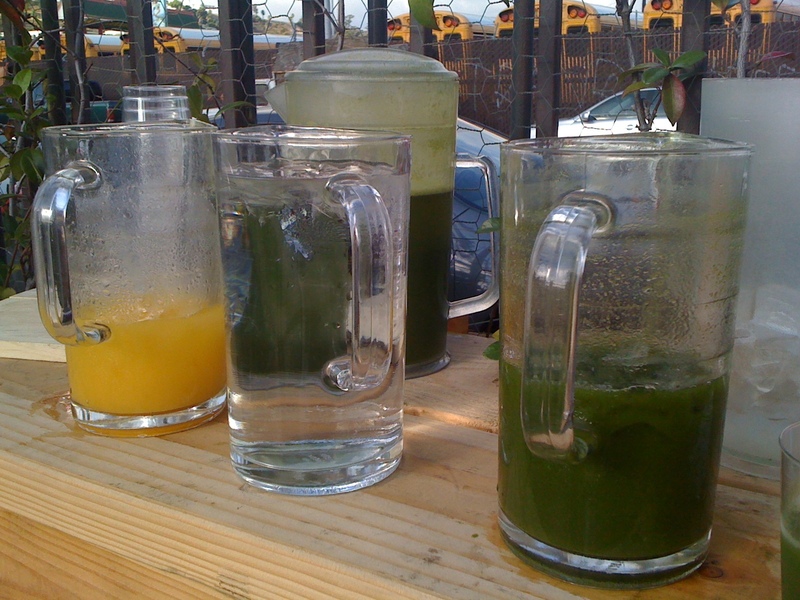 Recently, I have eaten Saturday brunch at Homegirl Cafe in Chinatown LA. Homegirl Cafe is one of the ventures of Homeboy Industries, which helps at-risk youth and formerly incarcerated folks of color get back on their feet in society through training in the culinary industry. Many of the staff and cooks at Homegirl Cafe are trainees of this community service program that has been started by a Jesuit priest in Boyle Heights by the name of Father Greg Boyle. Before she officially opened the doors of Homegirl Cafe (the original at Boyle Heights in April 2005, then moved to Chinatown in 2007), Chef Pati Zarate has been preparing homecooked meals for the Dolores Mission community. 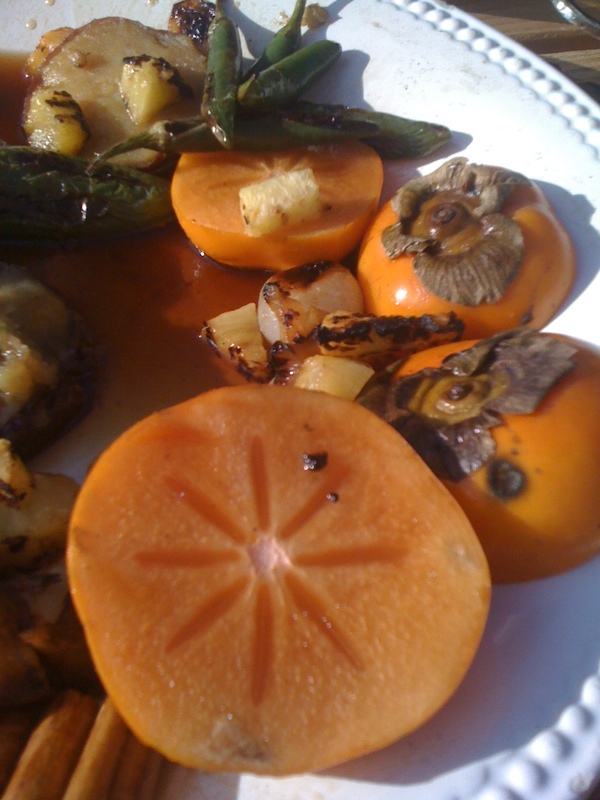 Chef Pati’s experience and passion in food and community can be tasted in the food and also seen in the way the meals are prepared and served. I thoroughly enjoyed my m’jas con papas with pork chorizo, which is a Homegirl classic. 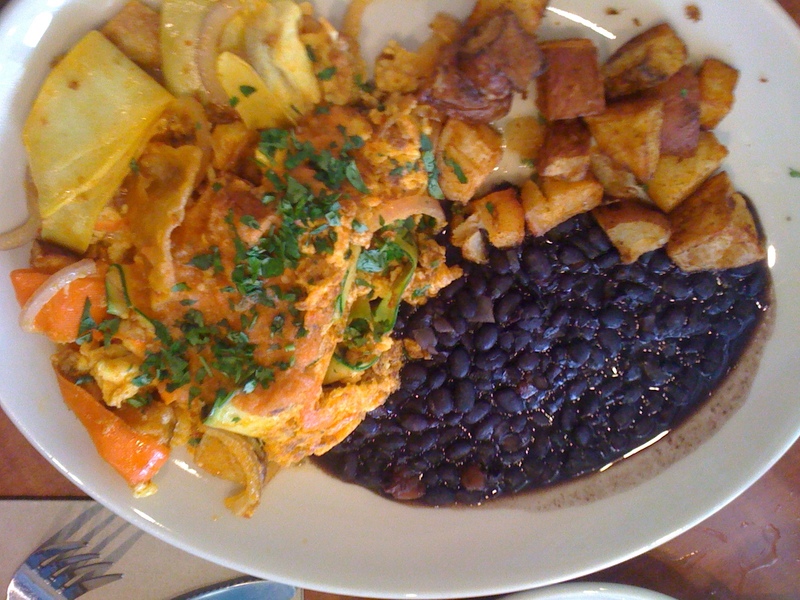 This dish has scrambled eggs with crisp tortillas, shredded seasonal vegetables, potatoes & roasted tomato salsa. 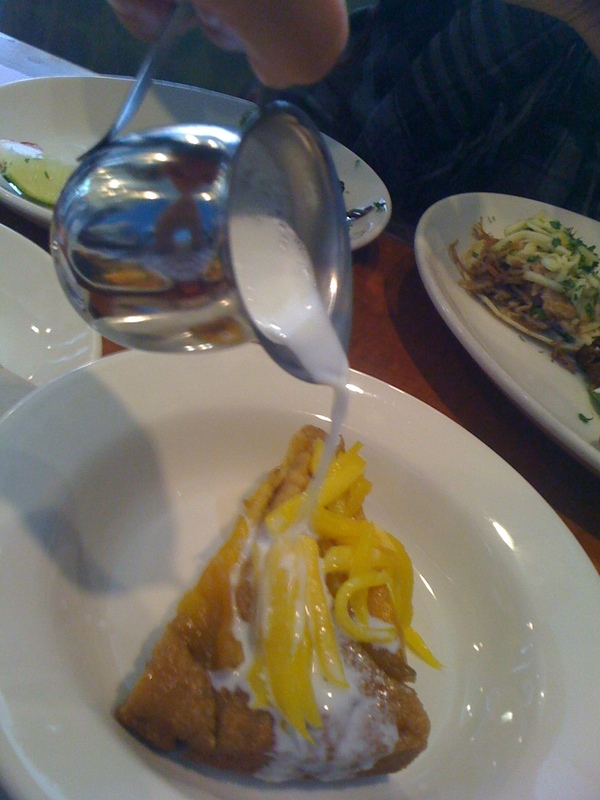 I also love the mango upside down cornbread which comes with warm milk and fresh mangoes. 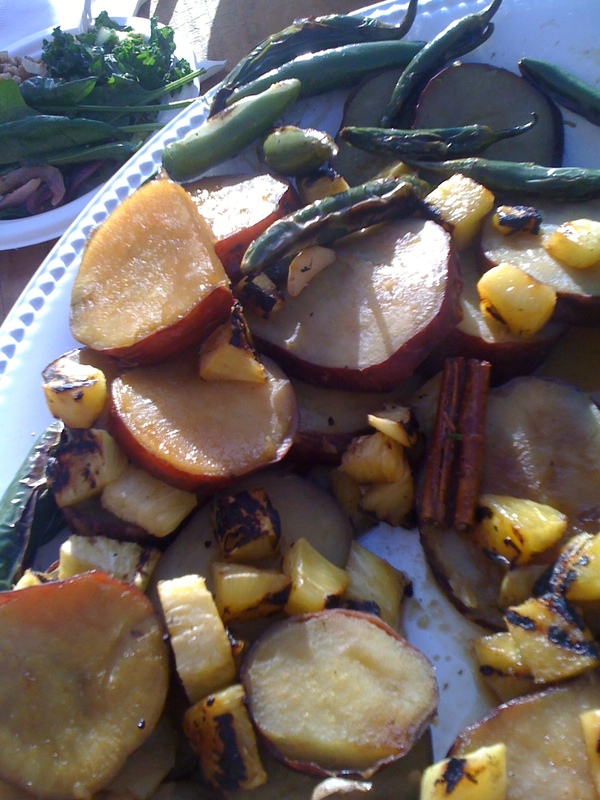 The Saturday brunch menu also includes tacos with tortillas that can be substituted with a grilled nopal (cactus leaf). I loved eating there! I also got to shop some of their homemade fruit jams and blended teas. After our scrumptious brunch, my friends and I walked over behind the restaurant and found a mini farm where about 30% of its produce are used by Homegirl Cafe. 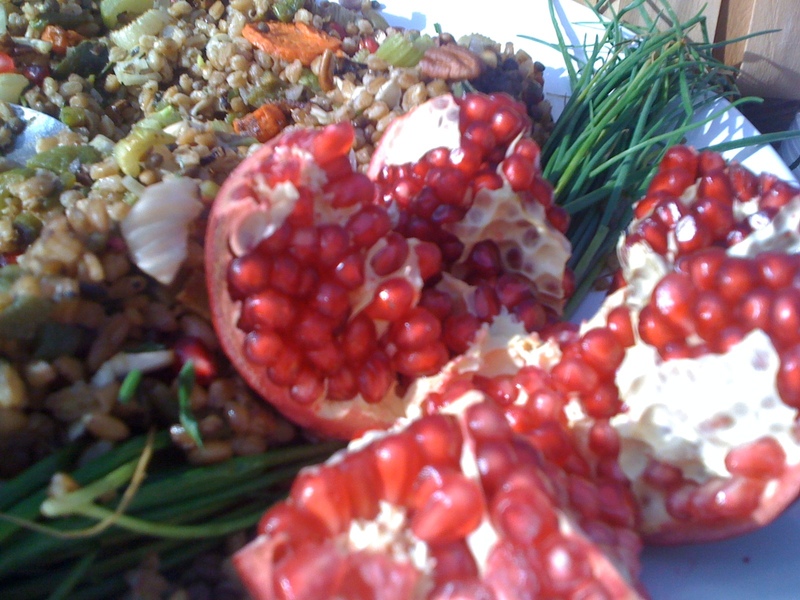 Upon entering the space, we were met with warm and friendly faces, as well as a table full of fresh and natural food. 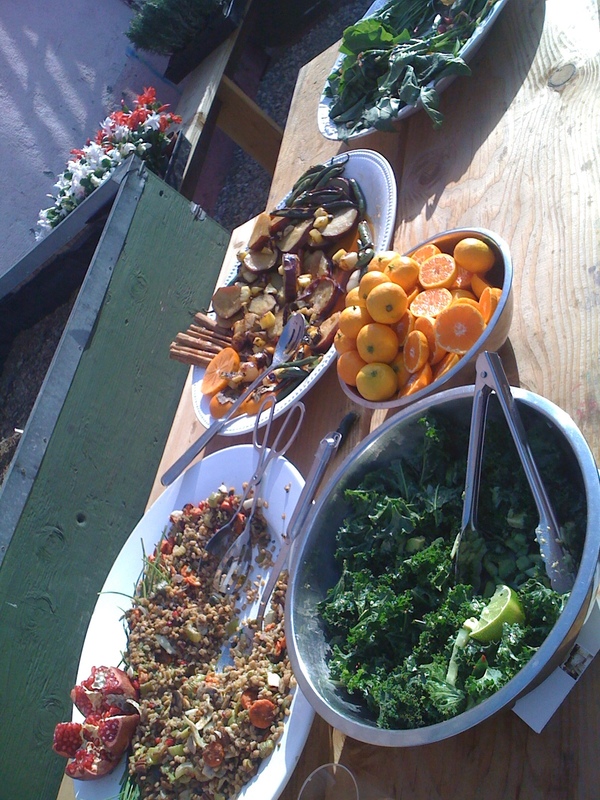 There were potato salads, pomegranate salad, kale salad, hand-picked tangerines, and fresh vegetable and mango juices. 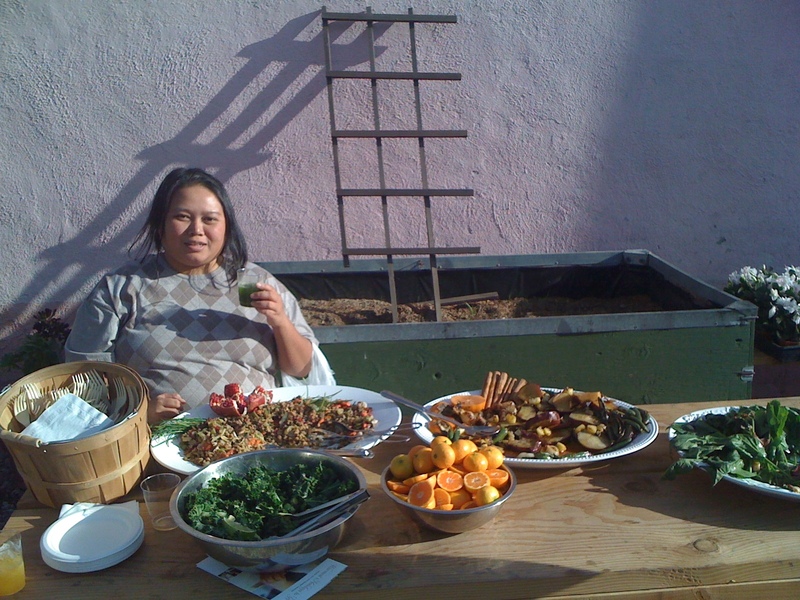 While we ate and bask in the SoCal sun, Chef Pati entered the garden and charmed us with her laughter and stories. Thank you Chef Pati for being a wonderful woman! I feel very blessed to have met a pillar of our local community!